Home > Housing Contracts > When Can a Landlord Rightfully Evict Someone? Illegal eviction is an issue that is taken very seriously by the courts. Tenants have many rights when it comes to periods of notice to quit a property, and landlords must obey these rights. Any tenant that is being harassed or threatened with illegal eviction will be able to pursue the matter through the court system, and there can be severe consequences for the landlord. Illegal eviction is a criminal offence under the Protection from Eviction Act 1977. There are only a very few circumstances where a landlord can evict a tenant without giving notice or obtaining a court order. It will be deemed illegal eviction if a landlord evicts a tenant without giving notice, usually one to two months notice. It will also be illegal eviction if a landlord evicts without a court order and harasses a tenant that he or she is trying to evict. 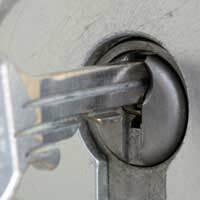 Harassment can include changing the locks on doors without informing the tenants, tampering with gas and electricity supplies to the property, and threatening to throw out a tenant. A landlord also cannot enter a property without the tenant’s permission or disturb any of the tenant’s property. There can be very serious legal consequences for any landlord that tries to evict a tenant without following the correct legal procedure. If a tenant has signed a tenancy contract then there should be details of periods of notice needed to quit the property. The amount of notice required will be dependant on the type of tenancy agreement. For instance if the agreement is for an assured shorthold tenancy then the landlord must give the tenant at least two month’s notice to leave the property. An assured tenancy contract should guarantee that the tenant has at least two weeks to two month’s notice period. If a landlord wants to evict the tenant before these time scales then he will need to seek a court order. If a court order of eviction is granted then the period of notice will be decided by the courts and will be dependant on the seriousness of the reason for eviction. In most cases a court order will be required before a landlord can evict a tenant. Depending on the type of tenancy the landlord must first serve a Notice to Quit to the tenant. This will give the tenant a month to two months notice to leave the property. Once this notice period has expired and if the tenant has not vacated the premises then the landlord will need to receive a court order before an eviction can take place. If a tenant is evicted and decides to take the matter to the courts then they can be awarded financial damages. Damages can either be awarded under breach of contract or damages for illegal eviction. There are also a number of other damages that can be awarded and these will be dependant on the agreements made within the tenancy contract. Financial damages will usually be based on the amount of profit that the landlord has made by evicting the tenant. There may be cases where compensation to the tenant for illegal eviction is reduced. These factors can include the actual reason as to why the landlord had to evict the tenant. If the tenant’s behaviour was bad enough to seriously warrant an eviction then the damages awarded may be reduced. There may also be reduced damages if the landlord had agreed to let the tenant live back in the property before the court cases was due. If a tenant is being harassed or threatened with illegal eviction then there are agencies that he or she can go to for help. Advice can be given from local Citizen’s Advice offices or any government housing association. Solicitors should also be a point of call if the tenant is considering legal action. Tenancy contracts are in place precisely to stop illegal eviction taking place. The amount of damages that can be awarded for this type of action can be significant. However, it is in the tenant’s best interests to seek legal advice before proceeding with any type of court action against a landlord. @Lyn - you would have to seek some legal advice on this question I'm afraid. Hi Brother, I am very confused above this explanation when it comes to eviction by local landlord. It is acceptable by law, or there should be the involvement of police officer and laws enforcing officer?